The letter warned that if the illegal gunfire, drug transactions and other criminal activity does not stop, the state of Missouri will move to declare the house a nuisance and will begin the legal process of seizing the property from its owners. Manheim Neighborhood Association president Diane Charity says for years the shots were likely fired at the house in retaliation for a prior incident. But she says the problem now is that they have started shooting back. Of those 210 shots fired since February 2016, 100 have been cited in just the first five months of this year so far. "I am tired of being in a place that sounds like a war zone," says area resident Bill Drummond. 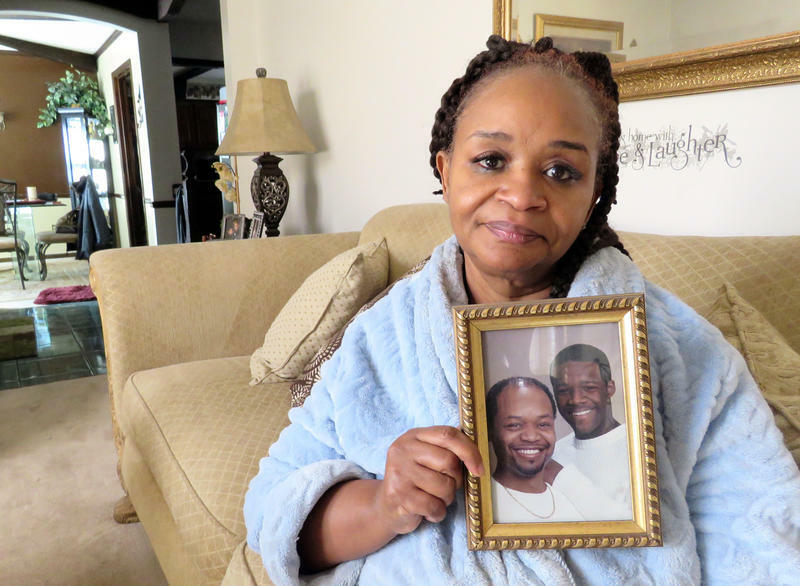 "It has become a neighborhood emergency, and a sector emergency for the police." Charity says resident Delores Wilson has come to a few Manheim neighborhood meetings, and one of her brothers is very involved in handing out flyers. "They try to be good neighbors when they can," Charity says. "But they have not, I feel, been empowered to know that they can do something about what's going on." When things calmed down back near the house, a few men from the house approached the prosecutor. "We understand you're upset," Baker said. "When you calm down, there's something real to talk about." They nodded. As she turned to go, one man, Maurice Clark, stepped forward. "Excuse me," Clark said. "Was all this necessary?" He gestured to the cameras and microphones sprawled out across the block. Baker said they've come alone many times. Clark continued. "For real, you could've just brought your friends. We didn't need these people," he said. "No disrespect. But you know what I'm saying." Andrea Tudhope is a reporter and producer for KCUR 89.3. 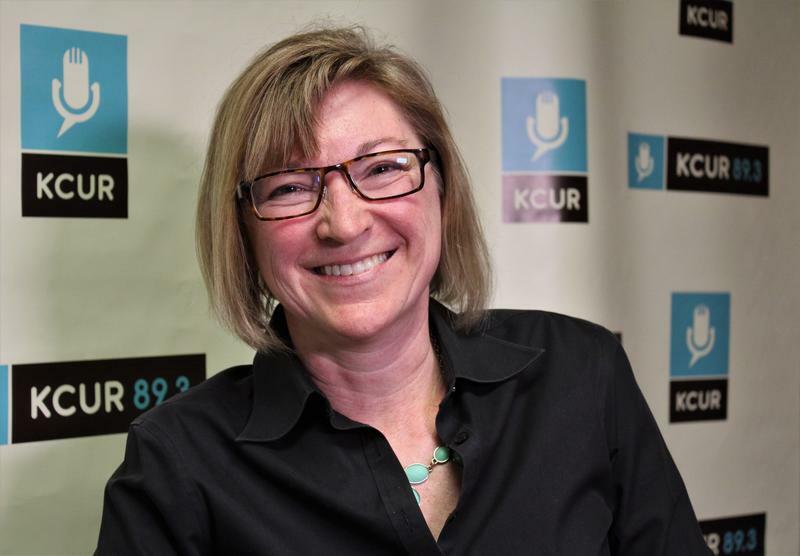 Contact her at andreat@kcur.org, and follow her on Twitter @adtudhope. Jean Peters Baker's work doesn't end when she steps out of the Jackson County Courthouse. 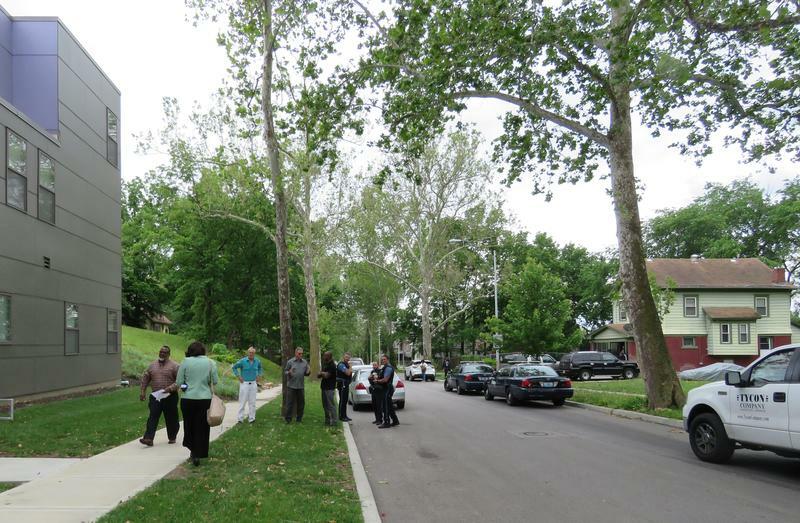 In fact, the county's top prosecutor recently hosted a cleanup event on the 2300 block of Denver Avenue in Kansas City to reduce blight and fight crime. She speaks about that, and about the work of Mayor Sly James' Citizens Task Force on Violence. Then, the only business school professor ever named a MacArthur Fellow tells us why he thinks fixing income inequality in America requires increasing the number of college graduates. Pastor Adam Carter is standing next to a single white cross in the front lawn of the Leawood Baptist Church on State Line Road. For the final weeks of the year, the lawn was a sea of white crosses, each representing a homicide victim. The visual, he says, would stop you in your tracks. "Each cross wasn't just a piece of wood, it represented a human life," Carter says. "So when you look at it from that perspective, it was extremely overwhelming."